Renowned cosmologist Professor Stephen Hawking passed away in the early hours of March 14, news that has saddened us all. 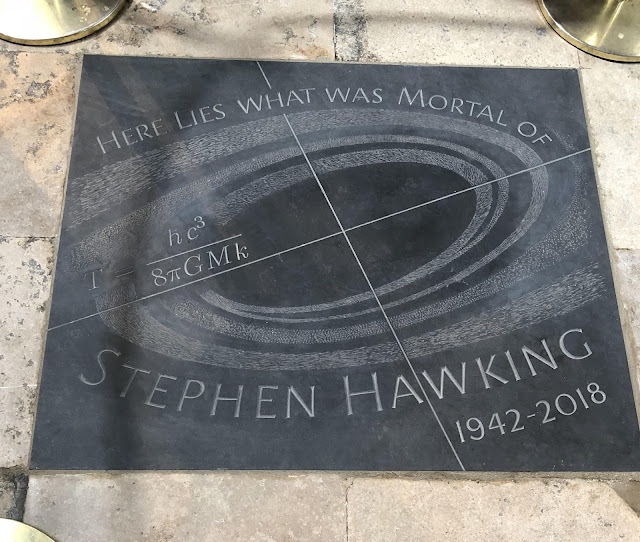 His scientific output was truly incredible and his work in engaging the wider public in the complexities of the universe will continue to inspire. His most famous formula, describing the entropy of a black hole, might even adorn his tombstone. And this is the crucial importance of the formula. The entropy of a black hole is proportional to its surface area, not its volume. The surface of the black hole is its event horizon, beyond which, nothing can escape. Hawking himself extended this work to a more general and far-reaching interpretation. The whole universe could be seen as having a “cosmological event horizon” suggesting that the universe as a whole has an entropy value and a specific temperature. This idea was the base for the formulation of the holographic principle, suggesting that all the information encoded in the universe can be interpreted from the properties of a lower dimensional boundary.